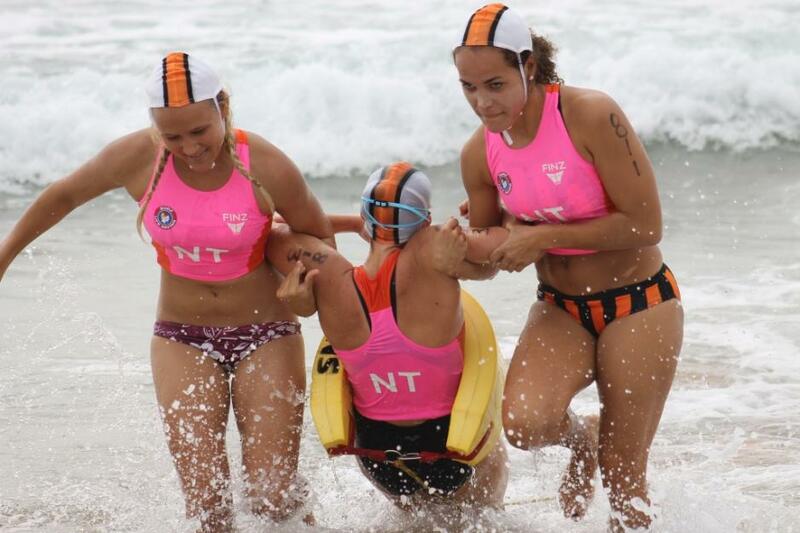 Newport Surf Life Saving Club members and supporters ran a fantastic Interstate Championships for the second year in a row on Friday. It was all hands to work and members from a young age to the more mature didn’t stop from dawn until the conclusion of the events run. 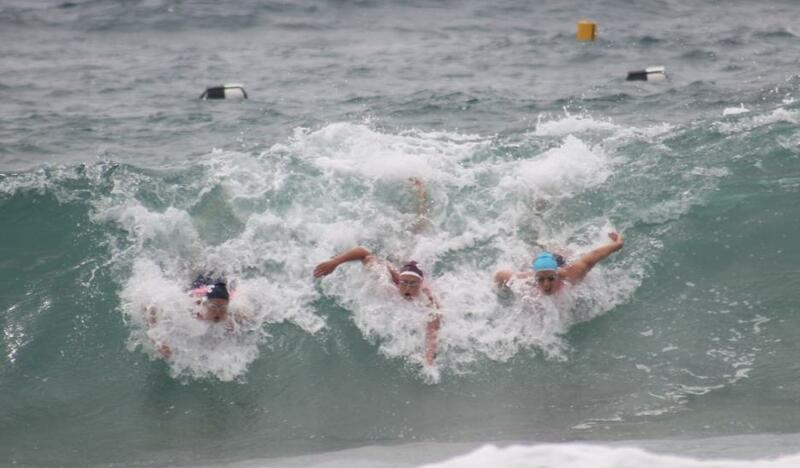 Next year the National Interstate Championships will be part of the Bondi Carnival Centenary, so it was great to see our oldest Pittwater SLSC at their best. 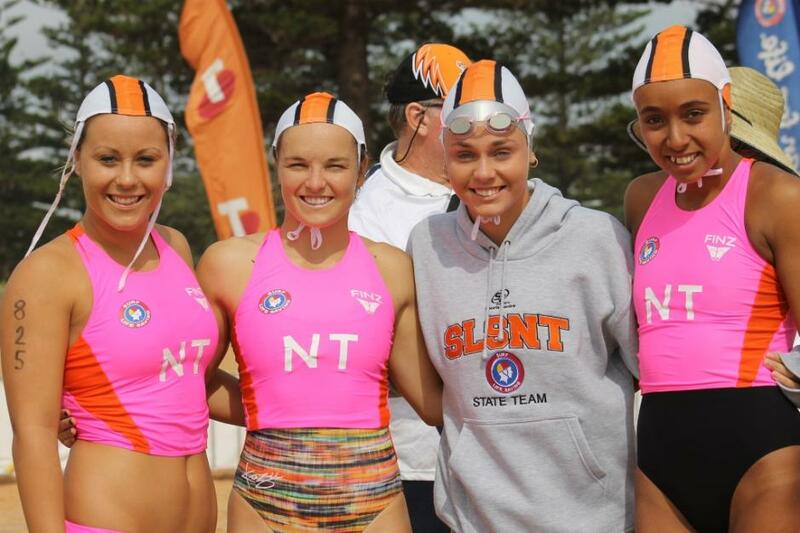 President of SLSA Graham Ford welcomed all competitors to Newport and thanked Newport SLSC for making everyone welcome. 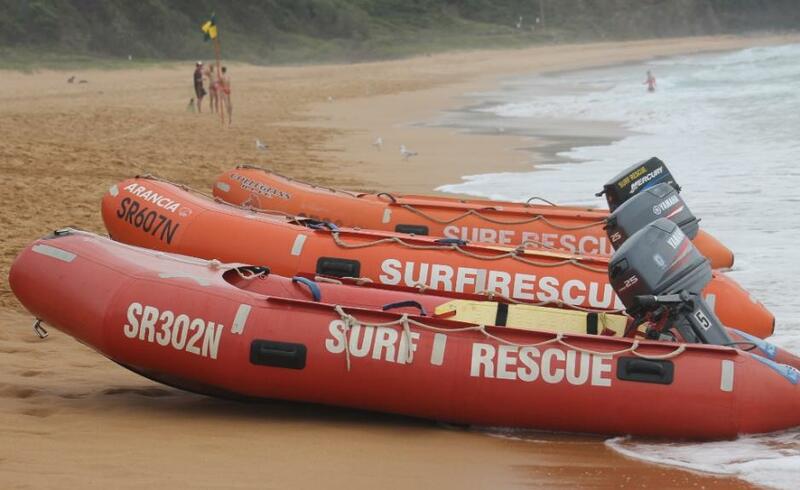 Mr Ford acknowledged two people before the events commenced, Rick Wright OAM, the Chair of Surf Sports, SLSA Hall of Fame (2010) and Life Member, who is stepping down after serving in this capacity since 2008. prior to this from 1997 to 2006 Mr Wright was the Director of Development. 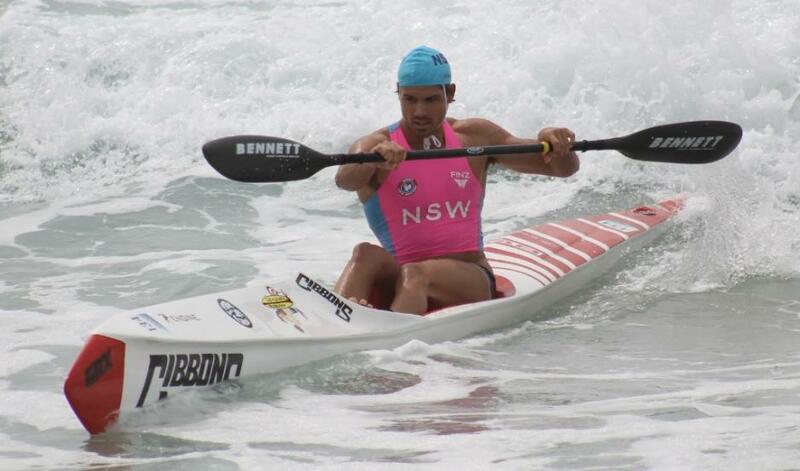 Rick attended the Interstate Championships on 2014 and kindly spoke to us. More on that in a moment. The second person Graham Ford wished to acknowledge was Sam Edwards from the Northern Territory, the DHL Volunteer of the Year, who was awarded the Darwin Young Citizen of the Year from the Darwin City Council on Thursday 23rd of January as part of this year’s Australia Day Awards. 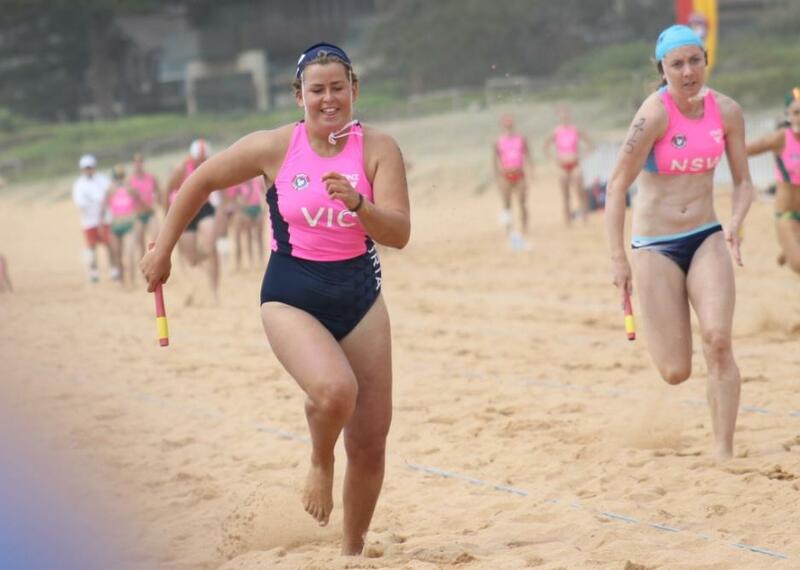 Sam, at 23 years of age, is the president of the Mindil Beach SLSC. Graham Ford also thanked the Harbord Diggers Club for hosting the dinner on Wednesday evening and asked Andrew Bowden, who could not make the dinner where the Australian Caps were presented, to step forward. 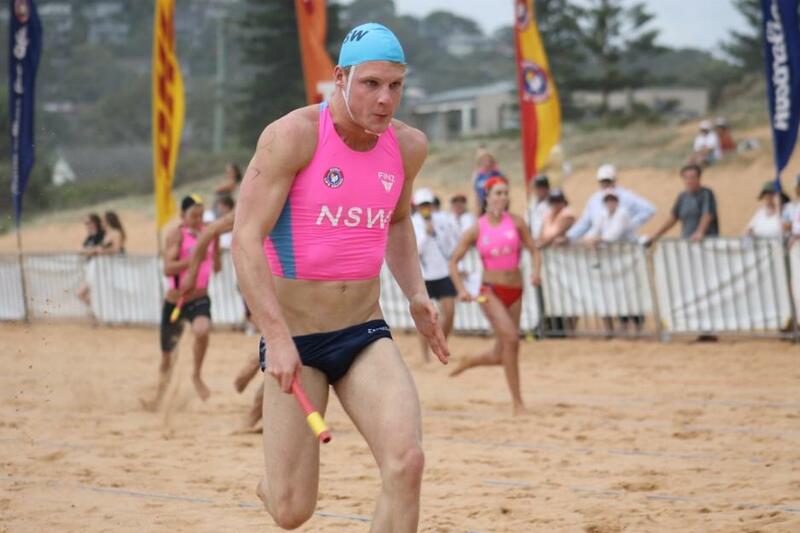 Andrew Bowden (Bronte SLSC/ Hills Lifesaving Club) who was the joint captain of the Australian Team with Pamela Hendry when this team went to Germany for the BeNe Cup competition and the Germany Cup last November (2013), where Australia were crowned German Cup Pool Rescue Champions for the very first time. Mr Ford presented Andrew with his Australian Cap – number 305 to rousing applause from all states teammates. Charles Malloy, representing the officials then read the Official’s Oath and Allie Britton, the Tasmanian State Team captain representing the athletes, read the Competitors Oath. 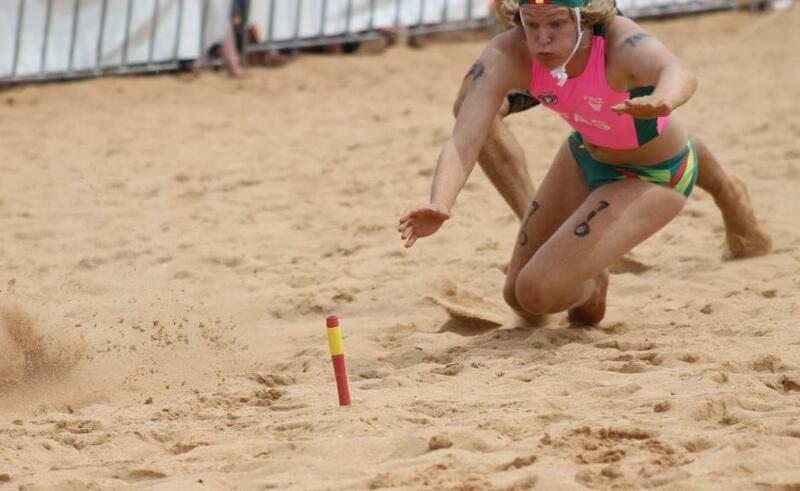 Please tell us a little about your involvement with the Interstate Championships. I’ve been involved with the Interstate Championships for 35 years. The Interstates are going from strength to strength. 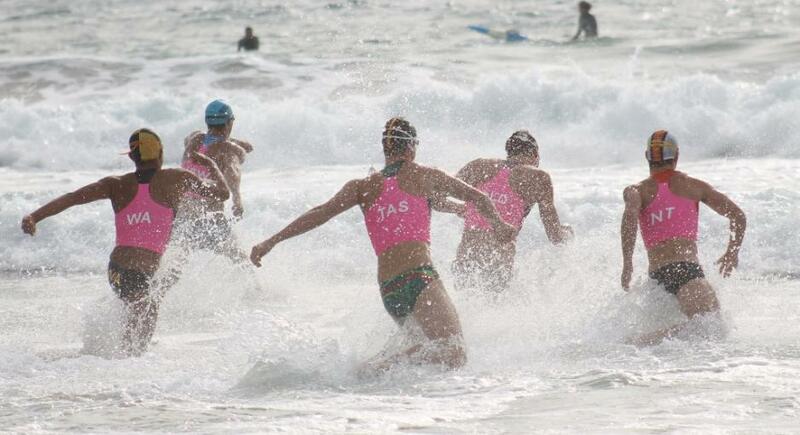 The competition and particular the camaraderie between the younger people, whom we’re seeing more taking an interest every year, makes this one of the best events on the Surf Life Saving calendar. Once there were mainly a lot of older groups but we have seen a change in recent years where the younger members, particularly the under 17’s, and under 19’s, are really starting to come through now. 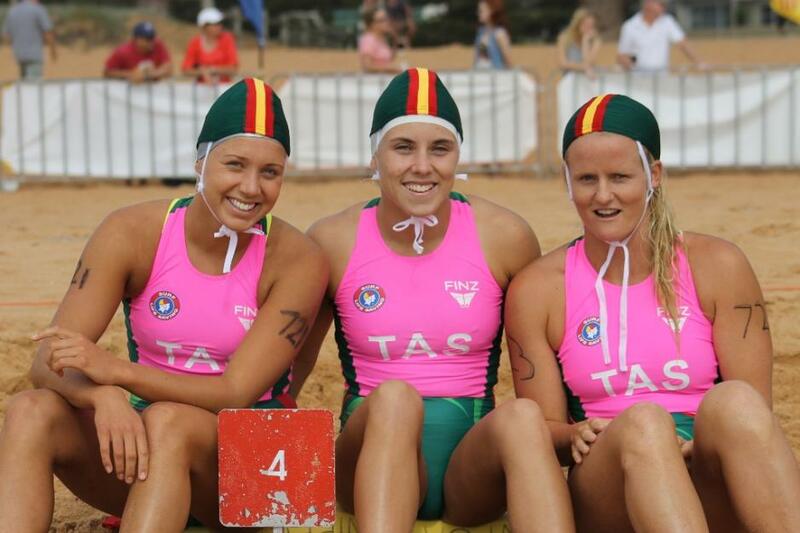 It’s fantastic to see youth with a pathway to the Australian teams through this event. 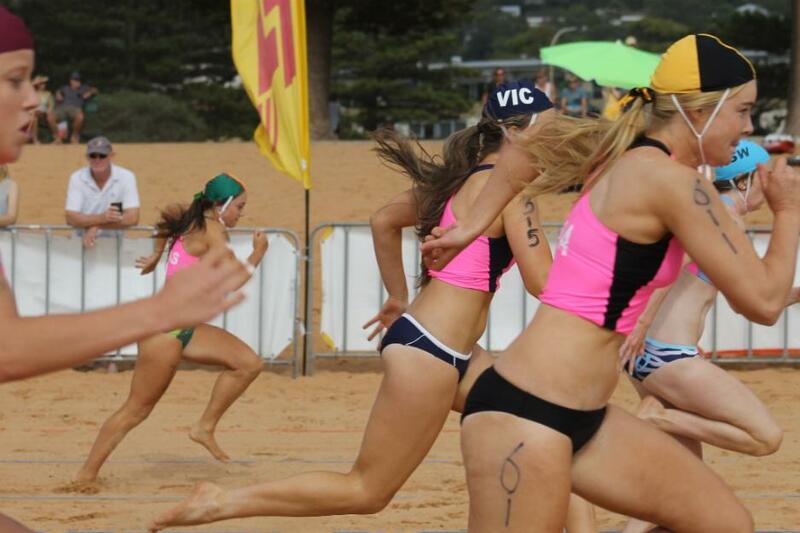 The National Interstate Championships brings them all together and they have a lot of fun – so it’s the pinnacle of elite competition for these elite athletes every year. You’re stepping down after this year – what will you be doing then? 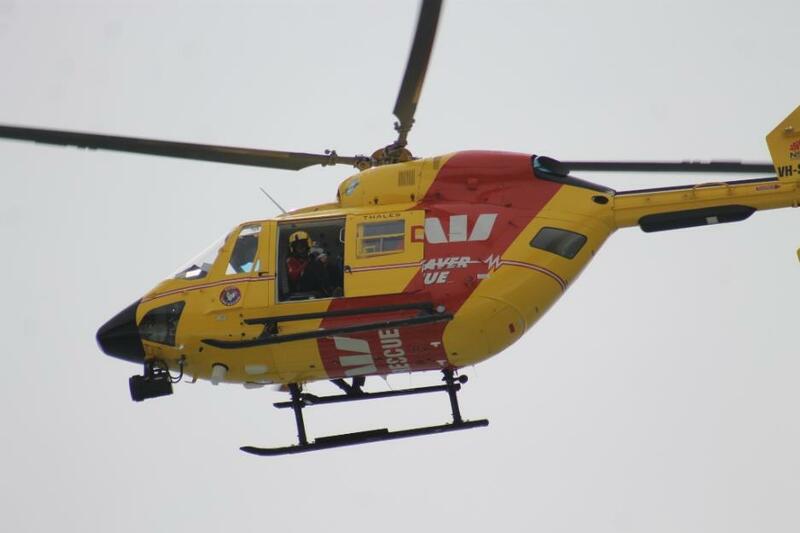 Surf Life Saving has a subsidiary company called Surf Sports Australia. I will move over and Chair that company. 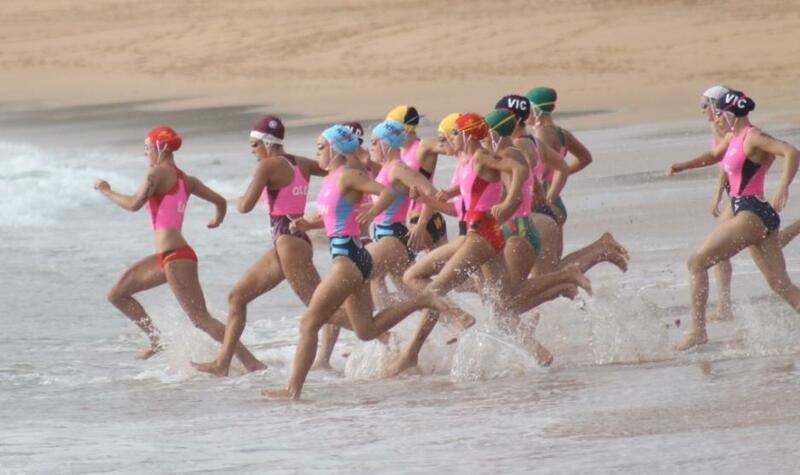 This company will be looking at non-traditional competitions that we will be introducing through into Life Saving, such as, for example, an Australian Open Water Swim Championship, offshore Ski Paddling, and a range of other very exciting events. 35 years ago – the first Interstates you attended – what was that like? I was a young official then. It was fantastic. 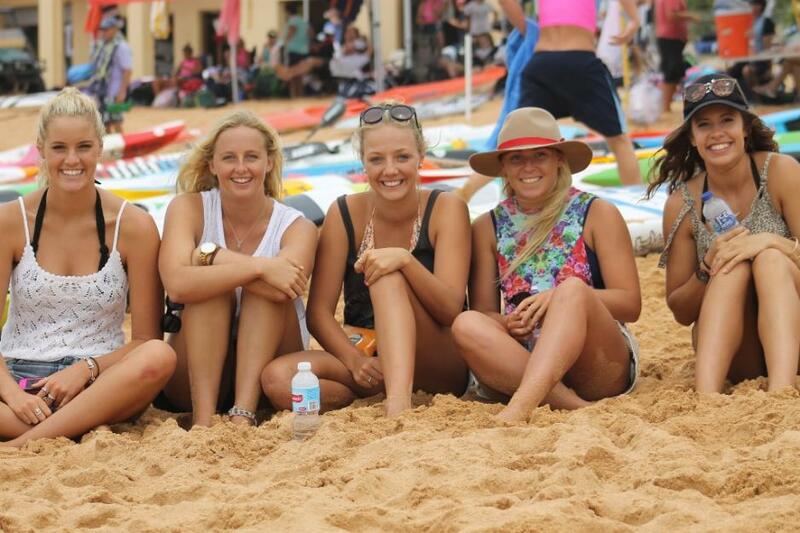 It was held in Victoria and we stayed in an old military hut and slept in sleeping bags – it was basic but wonderful. We’ve come a fair way since then. Mr. Wright asked the President of SLS Queensland, Ralph Devlin QC, who was also at this first event, to share a few of his memories. Mr Devlin: It was 1985, and we stayed in a big tent. 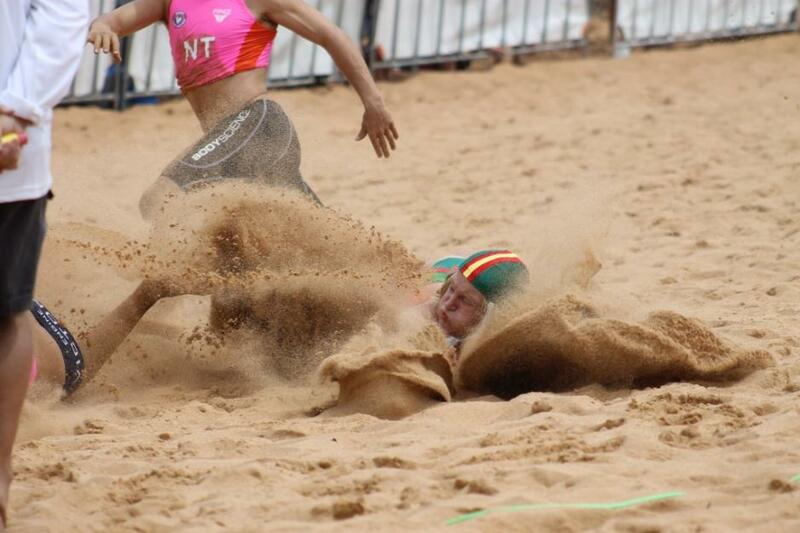 It was very cold and Queensland lost the competition on a disqualification. We weren’t very happy. But we made up for it the following year in 1986 and won the competition against NSW after 11 straight years of losing. Mr Devlin: I’m predicting that Queensland will win at the end of the day. 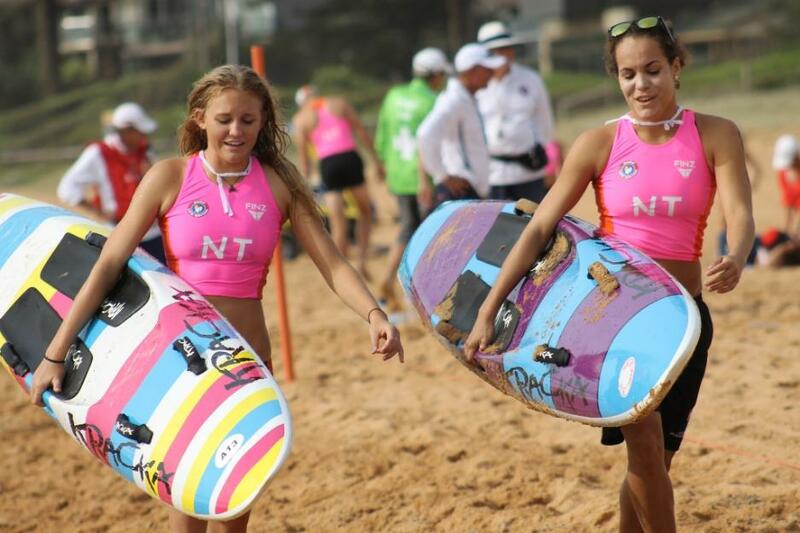 I think they’ve got a better surf team…but, we’ll see. 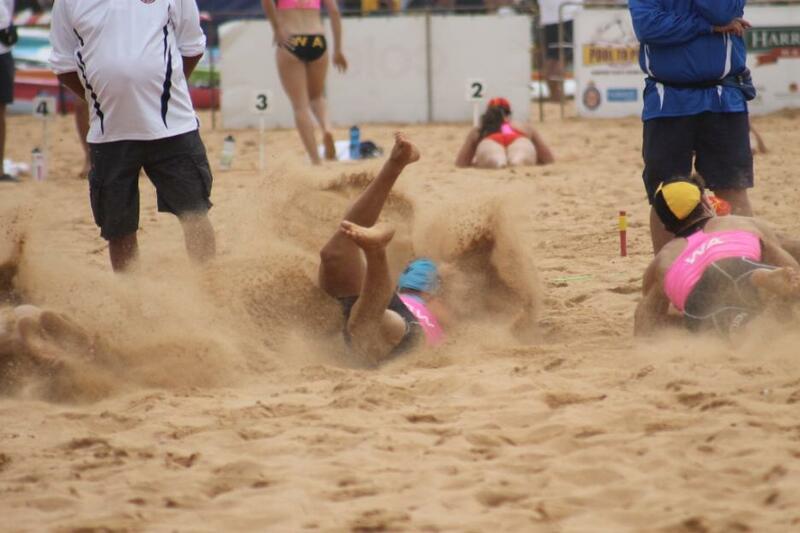 What we noticed throughout five hours of back to back events run at the south and north ends of the beach simultaneously was the amazing energy and dedication of all members of all teams. 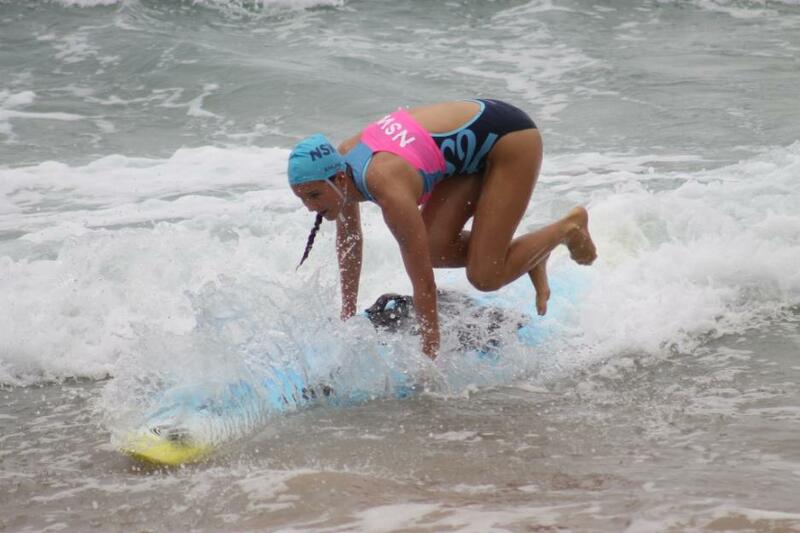 Running, swimming, sprinting, paddling for six hours straight, as some competitors were in most events, underlines how fit the rising generation of Surf Life Saving athletes are. 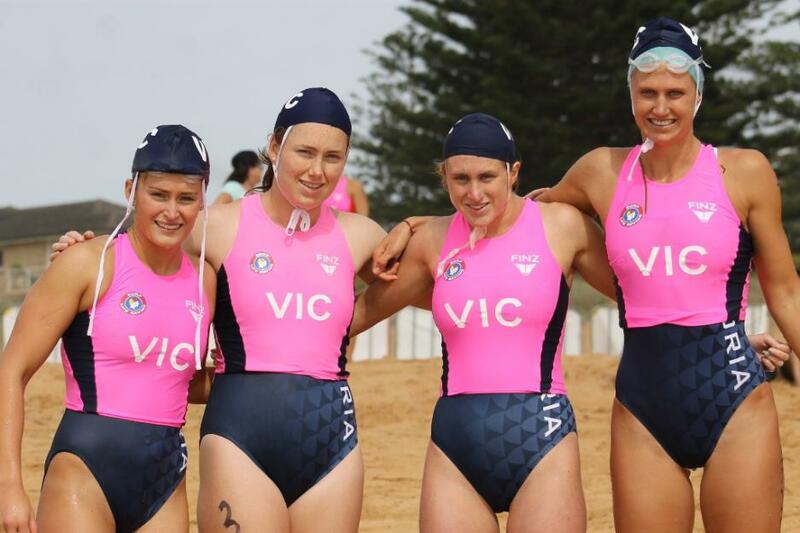 The other ever present factor was all competitors are mates on the sand and in the water, whichever state they came from. When the race was on their competitors edge came out but as soon as it was done, there were handshakes and hugs. 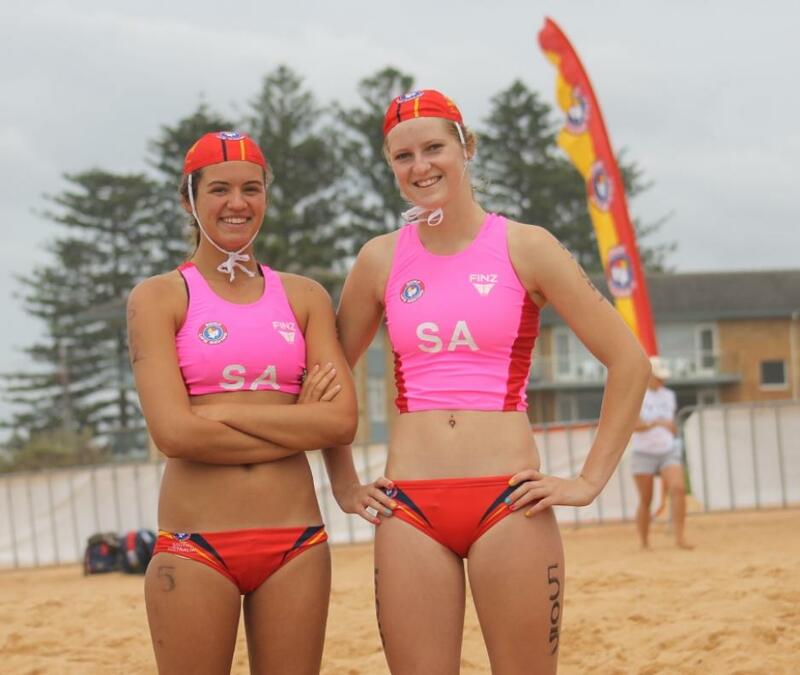 These young people are the future of Surf Life Saving and they make it look very bright. 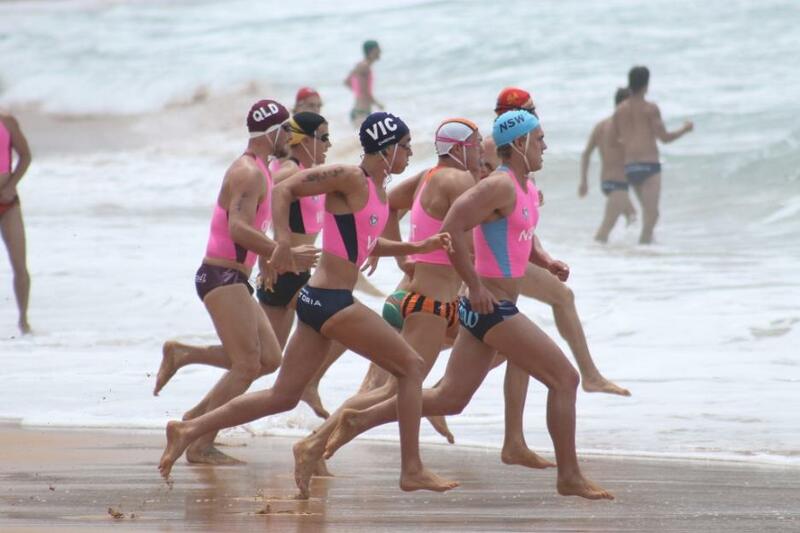 Along with Ironman and Ironwoman, Beach Flags, Board, Spring and Ski events we particularly liked witnessing the Tube and Board Rescue races – traditions that with equipment changes may have evolved but are still proven, and on Friday, fast and skilled examples of what surf life saving stems from. 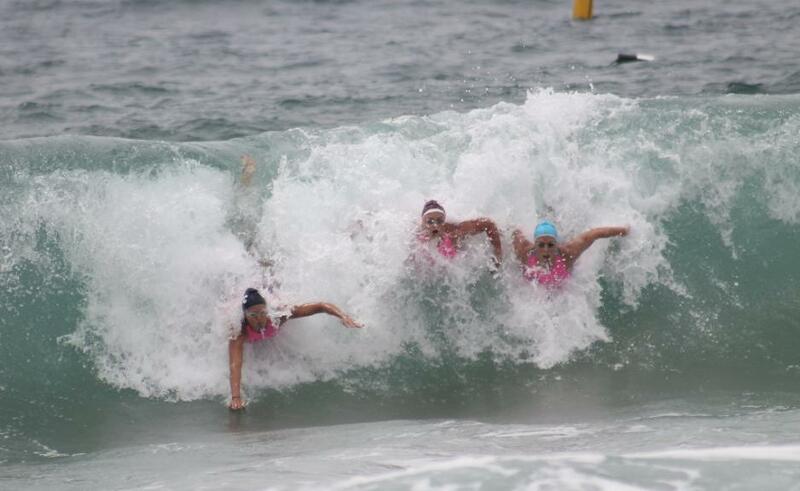 Reports on the 2014 National Interstate Championships courtesy of Surf Life Saving Australia and by Ian Hanson are below. * 1385 images are already available. There are approx. 1000 more of these which will be added in when we're back in the office on Tuesday. 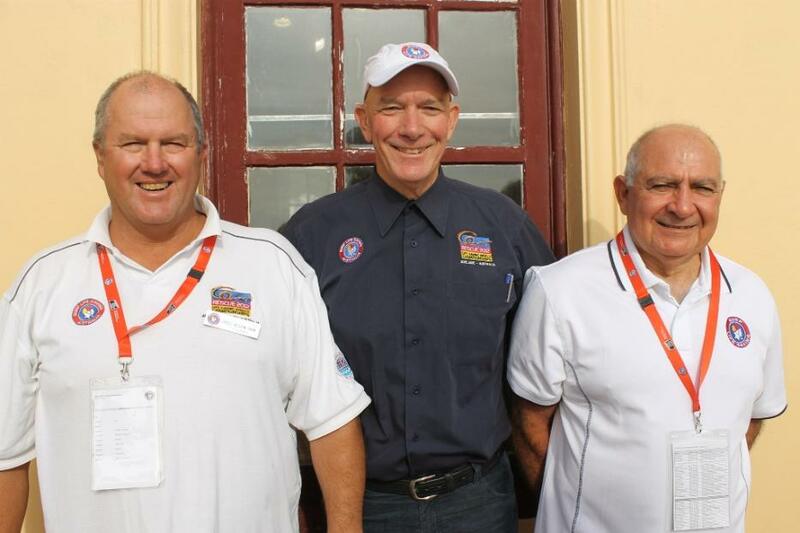 Greg Allum OAM, Chairman of Carnival Committee 2014 Australian Interstate Championships, President of SLSA Graham Ford, and Rick Wright OAM. 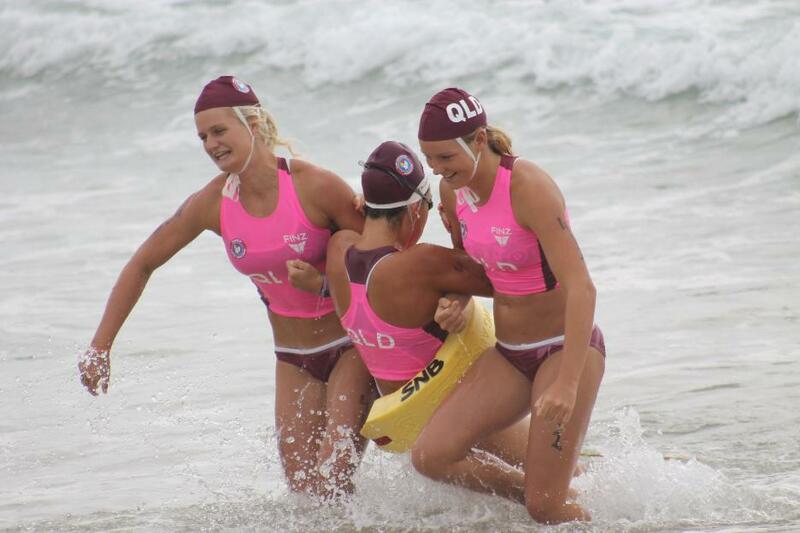 QLD has been announced winner at Surf Life Saving Australia's National Interstate Championships, securing a narrow five point victory over NSW. 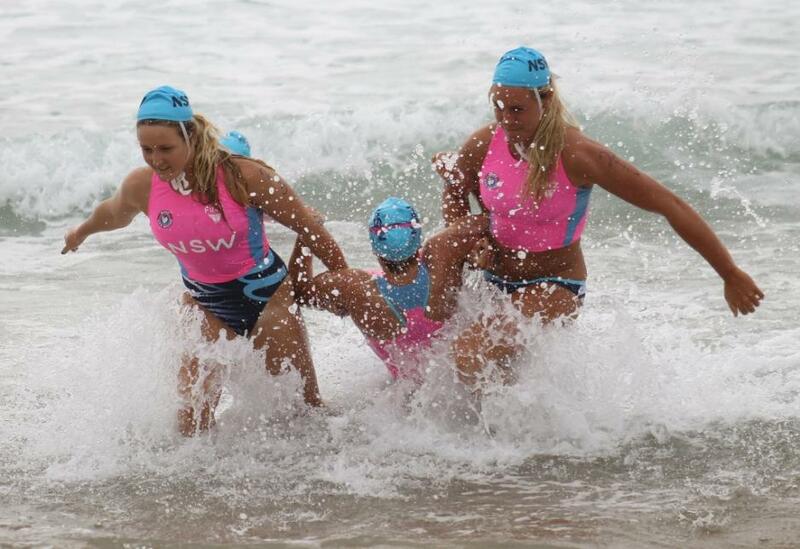 With only one point difference after yesterday’s pool rescue competition and NSW in the lead, QLD fought back today with some spectacular performances including first place in the Open Ironman (Shannon Eckstein), Open Ironwoman (Jordan Mercer), Open Women’s Beach Flags and Beach Sprint (Melissa Howard). 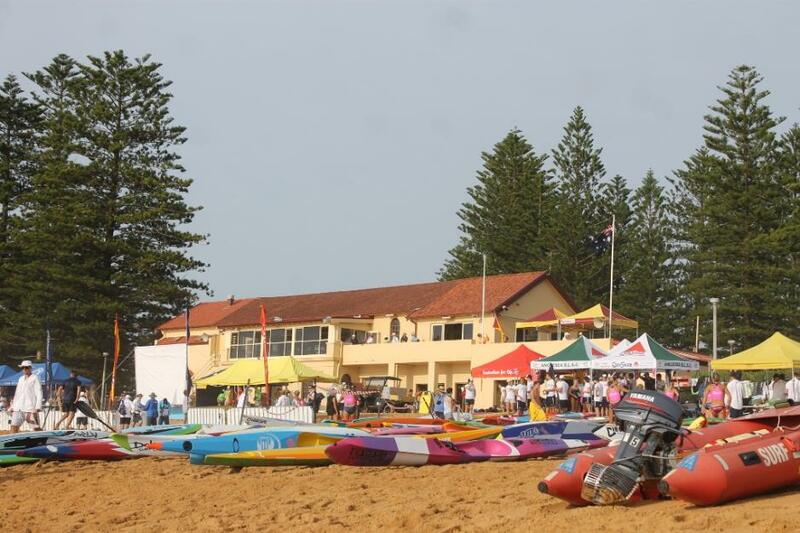 SLSA would like to congratulate all competitors and thank everyone involved for making the Championships a successful event. 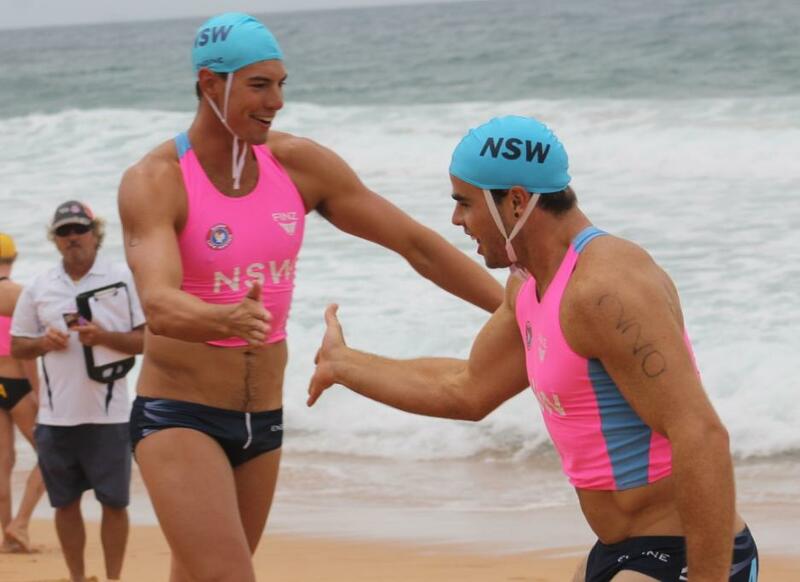 Two names firmly etched in the annals of Surf Lifesaving royalty - Eckstein and Mercer - have steered Queensland to victory over NSW in a nail-biting finish to today's National Interstate Surf Life Saving Championshipsat Newport Beach in Sydney. 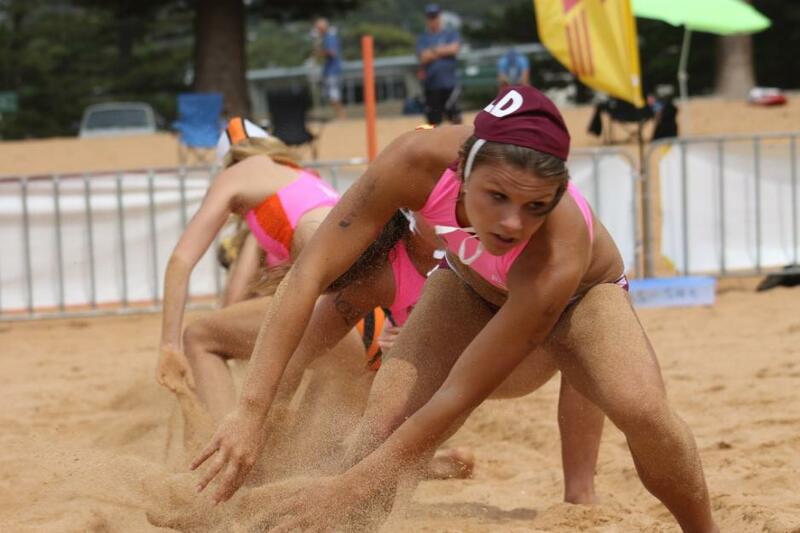 After two days of exciting competition in the pool, on the beach and in the surf it was the Queensland cyclones who edged out their arch rivals NSW by five points with Western Australia third. 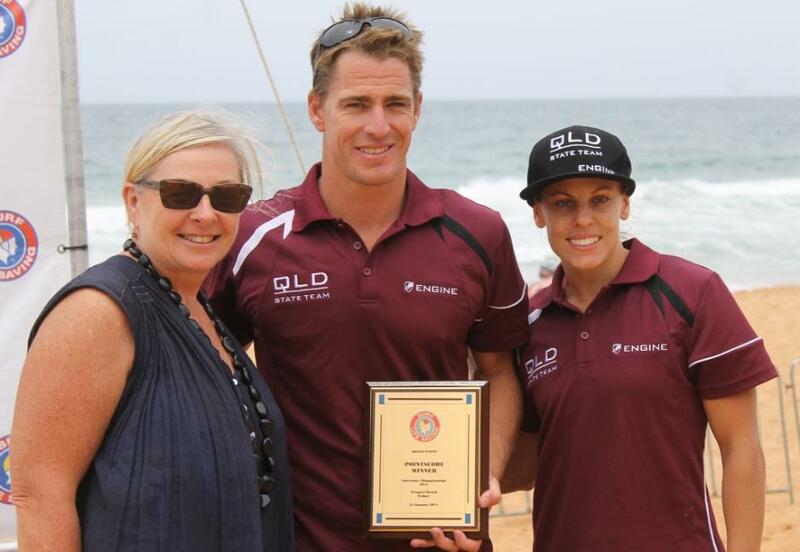 Maroons captain Shannon Eckstein continued on his winning ways to lower the Blues colours of Kendrick Louis and David Graham (WA) to win the open Ironman in testing conditions. 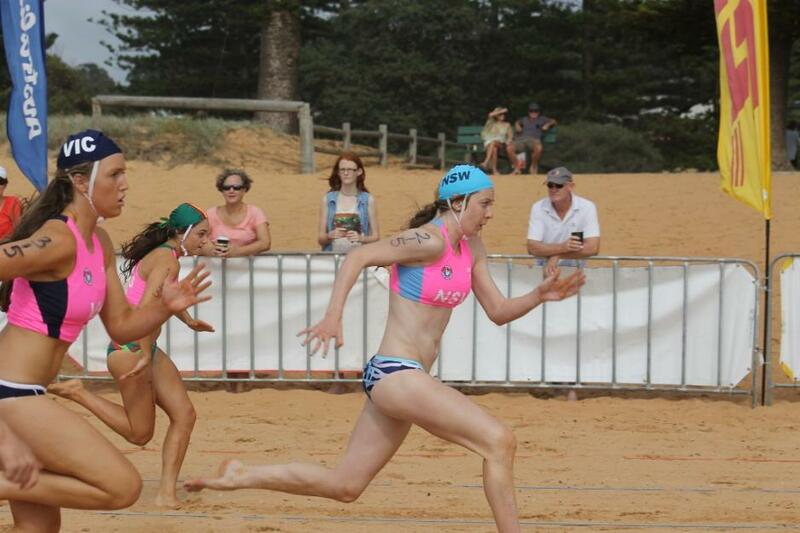 And in the open Ironwoman it was Jordan Mercer, daughter of the legendary Darren Mercer, who claimed the Iron double for the Cyclones when she defeated Hannah Minogue (NSW) and Harriett Brown (Victoria). Ironically Darren Mercer chalked up some of his finest victories in the sky blue NSW cap and is a member of the NSW Sports Hall of Fame. 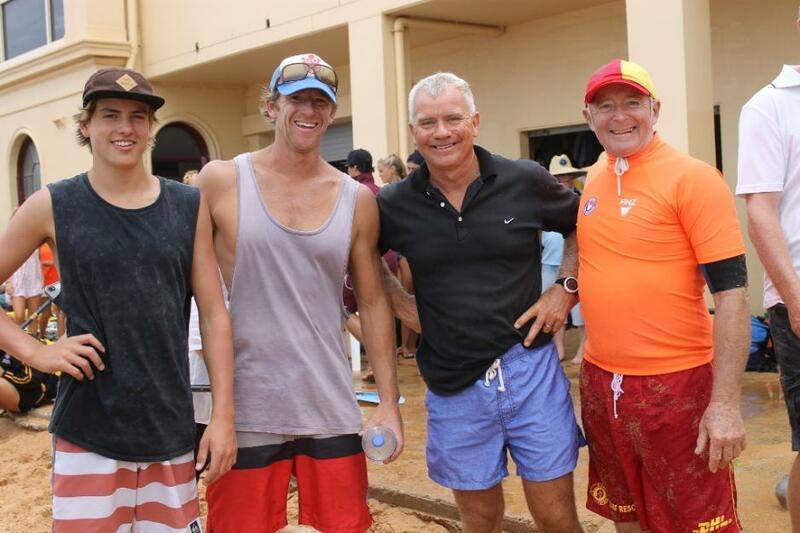 But his NSW- born Noosa Heads-based daughter is now a proud Queenslander. Mercer took advantage of the absence of team mate and two-time Australian champion Courtney Hancock who injured her back in the ski race - a race also won by young Mercer. 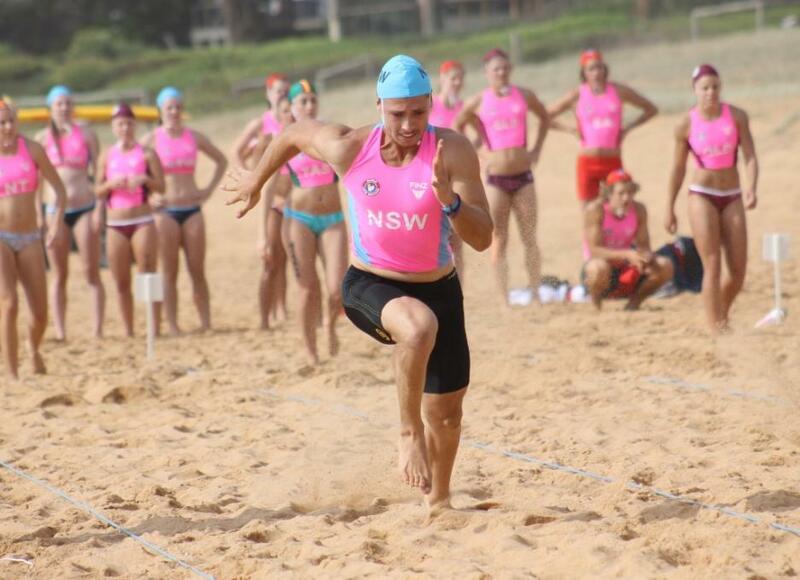 Under Interstate rules competitors are drafted into the various State teams and the Northern Territory and it was Olympic kayak hopeful Lachlan Tame who put NT on the winners dais. 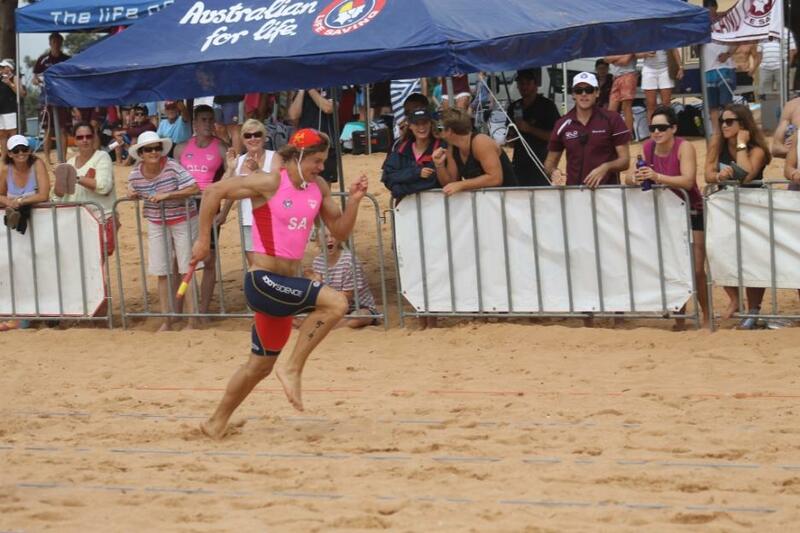 Tame won the single ski from Louis and Eckstein and finished second in the open board to Nicholas Rodger (SA) with Eckstein third and steered NT to victory in the board relay. 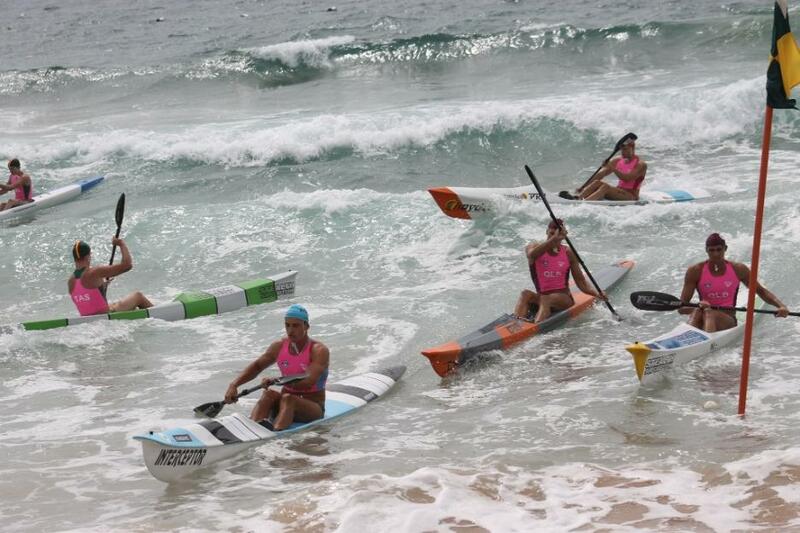 Louis got the better of Eckstein in the surf race with Graham again third while National champion Georgia Miller (NSW) kept Eliza Smith (QLD) and Brown (VIC) at bay in the open women's surf. 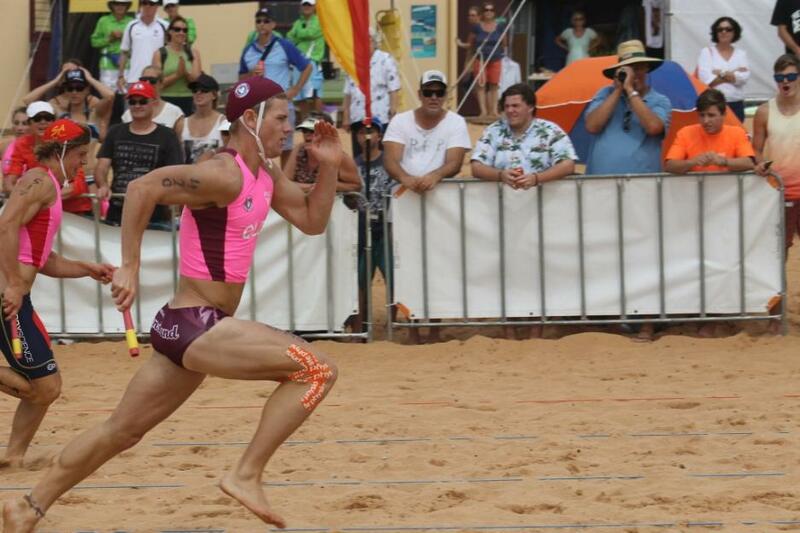 On the beach it was Queensland's Melissa Howard who took out the open women's sprint and flags double while World champion Jake Lynch won the sprint for NSW and Ben Mespelhorn the flags for Queensland. 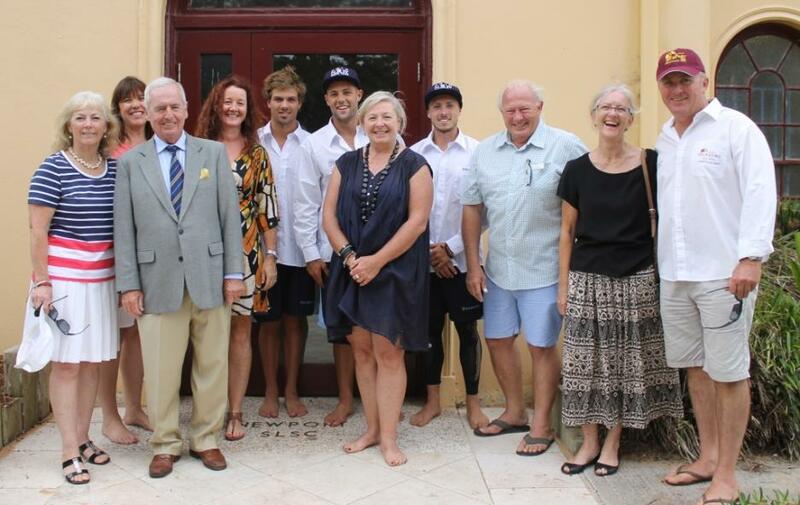 Left to right: Pittwater Councillors Kay Millar, Julie Hegarty, Bob Grace, Kylie Ferguson (deputy Mayor) Max Brooks, Kendrick Louis (Newport SLSC Athletes) Jacqueline Townsend (Mayor) Jake Lynch (Newport SLSC and World Champion open men's dual sprint and flags)Ian White, and Sue Young with Newport SLSC President, Rob Emerson at Newport Surf Life Saving Club on Friday afternoon.